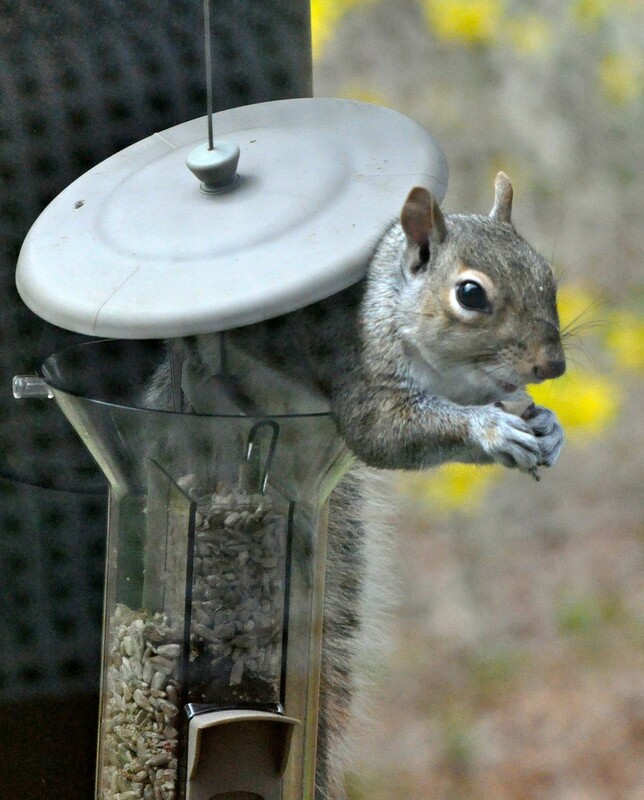 I didn't get this new bird feeder so a squirrel could sit in it and eat. This deserves a a whole fistful of favs! Talk about chutzpah! This squirrel has it in spades! This is so funny, he seems to be smirking! Great capture, fav! So funny! Naughty squirrel! Fav! Ha ha they are pretty determined! Ha ha ! -- who's a clever boy then !! They are the most determined scavengers around! Very naughty. He seems to think you bought it especially for him. LOL Pesky little squirrel. Very cute capture. I’m not sure the squirrel agrees with you! What a clever fella!